Antelope Canyon is a gorgeous park in northern Arizona. It is a popular addition to a trip to the Grand Canyon. But before you go, there are a few things you should know. Antelope Canyon is located near Page on Navajo Nation land, close to AZ 98 a few miles east of town (at milepost 299). Entry to the canyon is by guide only. Guided, 4-wheel tours are available from Page. You may also drive to the Antelope Canyon parking lot and take the 3.5-mile ride to the canyon entrance in a tribal vehicle. There are actually two canyons, upper and lower Antelope. Most visitors take a tour to upper Antelope Canyon. From your jeep or van, it is just a short sandy walk into the flat canyon. Lower Antelope Canyon is more challenging. There are ladders to get into the canyon. Some of the access is via sheer drops. This is the place where in August 1997, water 50 feet deep from a thunderstorm five miles away swept through the canyon and 11 people drowned. Assuming you will be visiting upper Antelope Canyon, here are some important things to know. The canyon is a special place and considered spiritual by the Navajo. Please treat it with quiet reverence. If you want a better chance to be somewhat alone in the canyon, go either very early or very late. Or, perhaps, during the off-season. For the best photographs, remember that the well-known light beams can be seen through the months of April to September. Chief Tsosie's tours, for one, have photo tours that take place mid-day. They are longer than the 1.5-hour regular tour visit. No matter when you go, take the time to look at the narrow canyon walls and look up toward the light. 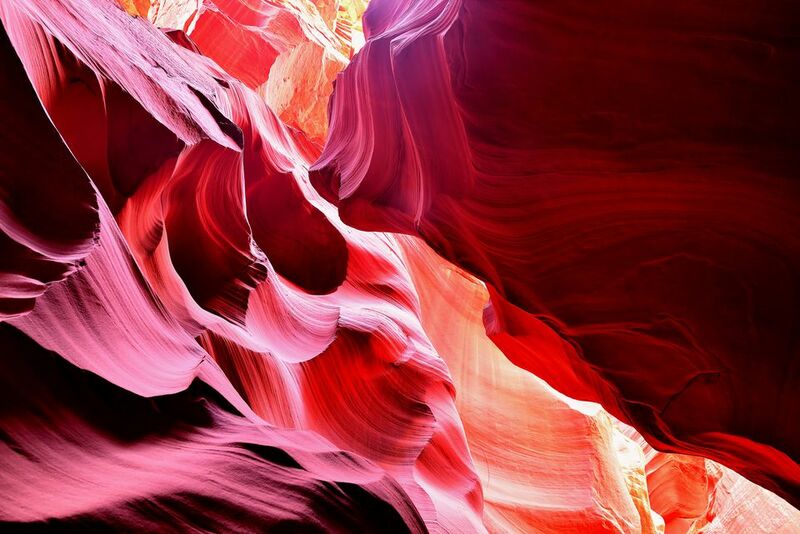 A visit to Antelope Canyon is a beautiful experience. The red you see in the canyon is Navajo sandstone. The canyon was made by the erosion of this sandstone, primarily by flash flooding. When the canyon was discovered, herds of prong-horned antelope roamed the area. Lower Antelope Canyon: This is a challenging entry but would be fun for those who are fit and adventurous. Cathedral Canyon: On the Chief Tsosie list of tours. It would be a route less traveled experience. Water Holes Canyon: Accessible through Slot Canyon Hummer Adventures. Slot Canyon Hummer Adventures is the exclusive permit holder to tour Secret, Passage, Staircase and the Water Holes Canyon. Slot canyons are not accessible without a guide. During times of rain, like the Monsoon Season, the slot canyons can be treacherous. When you visit, look at the back entry to the canyon and the front entry. Between those wide expansive washes, lies a very narrow canyon. Water does not soak into the earth. Instead, it gathers and breaks through the canyon as would a dam breaking. When you are inside the canyon look up. You will see tree trunks and debris as high as the canyon. That is the water line when the flash floods gush through.